A: Red Door Gin is distilled at Benromach Distillery, which, until recently, has specialised in the production of single malt whisky. 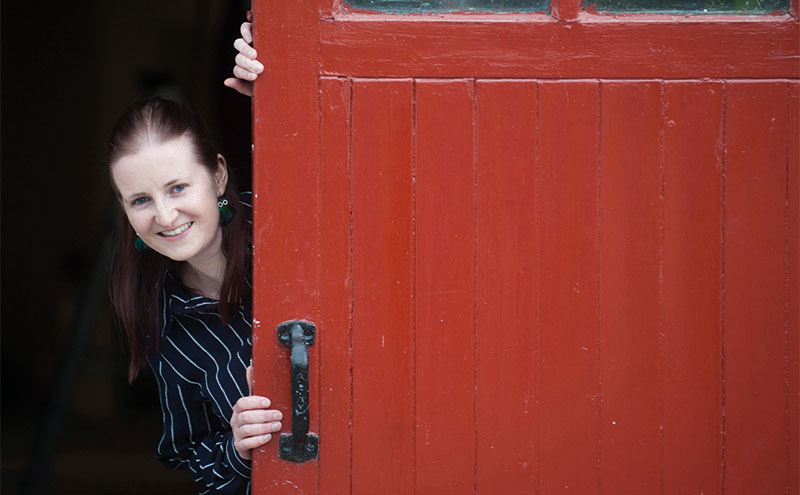 Q: How long have you worked with Red Door Gin and how did you start? A: Since the very beginning really. I helped source the botanicals and grain neutral spirit for the gin. In early summer we started distilling and undertaking trial runs of Red Door until we found the perfect recipe ready to launch in July 2018. Q: Describe the Red Door Gin production process. A: The idea behind Red Door Gin was to capture the spirit of Scotland’s majestic mountains, forests and windswept coastline in a deliciously distinctive, small-batch Highland gin that works beautifully whether it’s in a G&T or a cocktail. Our vapour-infused distilling method in our handmade copper still, named Peggy, steams the neutral base spirit through the botanicals to give a perfectly-balanced and elegantly-simple flavour. The botanicals have been carefully selected to create our London Dry gin; these include a heart of the finest juniper, as well as coriander and angelica, a defining citrus bite of bitter orange and lemon peel, with notes of aromatic sea buckthorn, floral pearls of heather and chocolatey, smokey rowanberries. A: I arrive at the distillery for 8am, check in with the other distillers, then I grab my keys and literally slide open the big red door, after which our gin is named. This is where the magic happens – it’s a perfect mix of rehearsed process with machinery combined with using the senses (mainly my nose!) to create Red Door Gin. I start by hooking up pipes to neutral grain spirit that gets pumped to the still. Whilst that is happening, I check and hand-batch all the botanicals that are going to be used to infuse the gin. It takes just over an hour for the spirit to come through; then it’s time to take off the heads. Once I am happy that the gin is nosing the way I want it to, I let it run, spot-checking with a glass every so often, nosing it to check for consistency. Once the spirit run has finished, it’s time to rouse it. I do this by hand, mixing the new gin, ensuring that the strength is equally distributed. Then I draw a sample, do all the checks, and pump the finished product into a bulk container. Then it’s time to tidy up and this is actually one of my favourite parts of the job! I take down the basket of spent botanicals, empty it and feel to see that all the botanicals are damp so I know for sure that the vapour has passed through; doing this releases the most wonderful smell, it’s almost like taking a very rich Christmas cake out of the oven. Then I lock the spirit safe, check the valves and head over to the office or start another batch. Q: Describe Red Door Gin. A: Complex and dramatic yet perfectly-balanced, Red Door Gin is a deliciously distinctive, bittersweet London Dry with a lingering palate that works beautifully in a G&T or silky-smooth Martini. Q: What would you say sets Red Door Gin apart? A: Working as part of a small team, we have applied our provenance and decades of expertise in handcrafting premium spirits at Benromach Distillery to create something different. 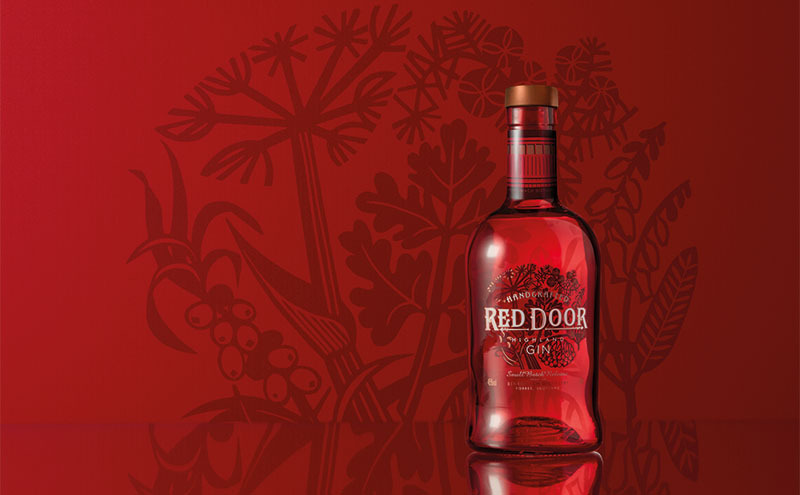 Named after the distinctive red door of the old malt barn at the distillery, Red Door Gin’s distinctive red bottle really stands out and tells the story of Red Door Gin. Q: What one fact should bartenders know about Red Door Gin? A: I’d like bartenders to know about our three signature serves for Red Door Gin because a lot of time was spent perfecting these. So, the Red Door G&T, with a garnish of fresh raspberries to contrast or a slice of grapefruit to accentuate the botanicals, the Red Door Martini, and the Red Door Negroni. A: I really love working with the botanicals. I love the smells, I enjoy weighing them out by hand and making sure every batch is consistent. Q: What’s your favourite way to drink Red Door Gin? A: I like a gin and tonic with lots of ice. I also add homegrown raspberries from my allotment and I prefer to mix it using an aromatic tonic water. A: The moment I went to the bottling hall to see Red Door Gin being bottled for the very first time. I felt so proud and excited to be part of this new chapter at Benromach. A: The team behind The Botanist gin from Islay. I visited the distillery recently and was mesmerised by the story, especially about a couple handpicking botanicals in a pillow case! It is this attention to detail and the art of doing things by hand that I love about my job. A: I am a keen gardener and so you’ll often find me at my allotment or walking my dogs in the hills. A: I’d have to ask actor Jared Leto as I have always followed his career with interest. I’d pick somewhere exotic like a bar on the beach in Mauritius and obviously we would both drink Red Door Gin!